Free Jazz, Harmolodics, and Ornette Coleman, the new book from pianist and educator Stephen Rush (get it from Amazon), sets itself a fairly audacious task: explaining what Harmolodics is. 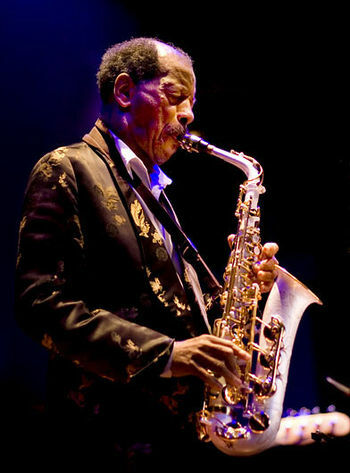 The shallowest answer, and the one most frequently offered, is that Harmolodics is the system that Ornette Coleman devised to compose and improvise, and which he used from the 1950s until his death in 2015. As a word, Harmolodics is a portmanteau of harmony, melody, and rhythmic. The deeper answer is that Harmolodics is much more than just a composition/improvisation system; Harmolodics is a philosophy that reflects the ideals of life. That leads us into the guts of this new book: Harmolodics as philosophy, explained mostly through the words and music of Coleman himself and Rush’s explanations thereof. Cellist Daniel Levin has been a major presence on the New York scene for nearly two decades as an active bandleader and as an innovative sideman. His quartet has been active since 2001, having released an incredible eight records, the most recent of which, Live at Firehouse 12, will be released later this month on Clean Feed. His new solo record, Living, will appear on Smeraldina-Rima later in the Spring. Daniel plays in a duo with bassist Henry Fraser at Downtown Music Gallery on January 8, at 7 pm. He is also embarking for Norway later in January to play duo concerts there with violist Mat Maneri as well as a duo concert with Torbjörn Zetterberg in Stockholm on February 10, before the three of them join vibraphonist Matt Moran in Munich to kick off an extensive European tour with the quartet. Steve and Vanessa were the very first concert in February, 1997.Vanessa was then a graduate student at UCSD and now is a music professor at Griffith University in South Brisbane and performs throughout Australia. She returned to Fresh Sound in 1997, 1999, and 2014. Steve was a professor and performer at UCSD, and has now added conductor and author to his accomplishments, including his return appearances to Fresh Sound for solo concerts in 1997 and 2010, and a 2015 performance with red fish blue fish. Chris performed at Fresh Sound in 1998 with Cuong Vu, Skuli Severson, and Jim Black, and in 2014 with Dave King and Chris Tordini. “Endangered Blood” was formed in 2008 and their music draws from the members’ diverse backgrounds and influences, combining post-bop, 20th-century chromaticism, traditional New Orleans funeral marches, avant-garde jazz and post-punk to create a sort of mad-scientist concoction. Its compositions are cerebral, but they’re also gritty and full of energy. This will be Kjell’s third Fresh Sound performance, following his 2001 debut with Ken Vandermark’s School Days and a bracing 2015 solo concert. The duo plays freely improvised music based on tight interaction on sonic transformations. The sound is the sound, and the sound is first, and this is what constitutes the musical material evolving between the two. Lukas Ligeti is a percussionist/composer who made his Fresh Sound debut performance in a house concert in 2011, playing solo marimba lumina, an instrument designed by the late Don Buchla. Ligeti recently relocated from NYC to Southern California to serve on the faculty of UC Irvine. He creates music unlike any other — a kaleidoscopic mix of African, post-minimal, European classical, and avant-jazz influences. Marimba virtuoso Ji Hye Jung also performs Ligeti’s “Thinking Songs”, a tour de force that pushes the instrument into new directions, and Ligeti’s group Notebook performs works combining composition, improvisation, and unexpected moments of sheer beauty. One of the finest finger-pickers in Michigan, Nick Schillace has the even rarer quality of being a strong musical artist. His guitar chops are always at the service of making good music and as stunning as they are, they never showboat. Although he’s steeped in old-timey folkloric material, his own solo compositions are firmly in the big-eared Tacoma camp of John Fahey and company. This trio of Detroit jazz heavy-hitters features Alex Harding (baritone sax), Leonard King (drums) and Rocco Popielarski (bass). Since returning to his hometown of Detroit a few months ago, Alex Harding’s presence on the jazz scene has already resulted in some great new groups. As a young player he came up under some of Detroit’s finest: Yusef Lateef, Beans Bowles and Donald Bird. Harding played with avant garde pioneers like The Sun Ra Arkestra, Richard Muhal Abrams, Frank Lowe and Oliver Lake– as well as pop stars like Aretha Franklin, David Lee Roth. One of the great veteran drummers of today’s Detroit scene, Leonard King leads his own creative jazz orchestra and preserves the legacy of the Lyman Woodard Organization, the seminal group he played with in the 70’s. Notables he’s recorded and performed with include a long association with his former students James Carter and Rodney Whitaker; Detroit legends like Donald Byrd and Roy Brooks and other jazz notables like Johnny Griffin and David Murray- but Leonard’s deep love of music extends beyond jazz, as evidenced by his work supporting people like T-Bone Walker, Al Green, Eddie Kendricks and Aretha Franklin. Keeping true to the tradition they were brought up in, Alex and Leonard will be joined by the much younger Rocco Popielarski on doublebass, an up and comer of the current generation of players. Doors at 7:30 pm; $10. Juthoor Ensemble is a string trio from Jordan that caught our ear a few years back when they were recommend by a mutual friend. As fate would have it, the group’s oud player, Abdul Wahab Kayyali recently moved to the Ann Arbor area and is now a local! Add the fact that the group’s violinist, Mohammad Tahboub, also recently moved to Kentucky and suddenly it’s feasible to have these guys perform in Detroit! It will be an evening of what the group describes as “original oriental instrumentals.” Doors at 7:30 pm. General admission $10; reserved seating $16. Greenwich House Music School: 46 Barrow Street, just west of 7th Avenue South in New York City’s West Village; http://www.greenwichhouse.org, 212-242-4770. Saturday, January 21, 8:00 p.m. – Master drummer! Classical pianist extraordinaire Taka Kigawa has been a friend of Sound It Out from the start, and he returns to the series with an opening program of jazz-inspired pieces by the likes of Ligeti, Bartók and Stravinsky. The New York Times has called Taka “always a poised guide in the most daunting music,” praising his “cool, clarity and calm.” Then, capping the night’s double-bill, is pianist-composer Sebastien Ammann’s Color Wheel, featuring the ever-compelling saxophonist Michaël Attias and the rhythm duo of Noah Garabedian & Nathan Ellman-Bell. Sebastien and company will be celebrating the release of Color Wheel’s eponymous first album. On a rare visit from Europe, the duo of jazz-minded pianist Francois Courturier and classically trained cellist Anja Lechner performs a concert coinciding with the release of their latest poetic ECM album, Nuit Blanche, by Couturier’s Tarkovsky Quartet. Reviewing Moderato Cantabile, Courturier and Lechner’s 2014 duo LP, All About Jazz praised the music’s blend of folk roots and spiritual depth, along with the “supple eloquence and sophisticated vibrancy” of the duo’s performances.